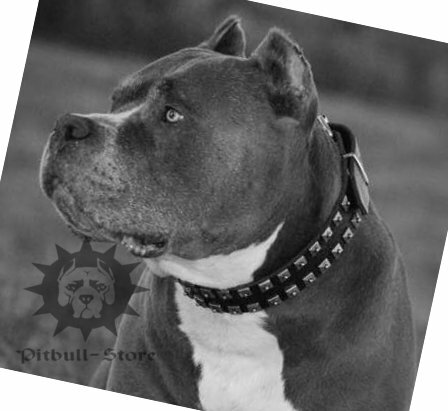 We offer you our newly-designed leather studded dog collar in "caterpillar" design for walking your gorgeous Pitbull. This handmade walking dog collar is a great combination of high quality, thick and well-oiled leather with fancy nickel studs. 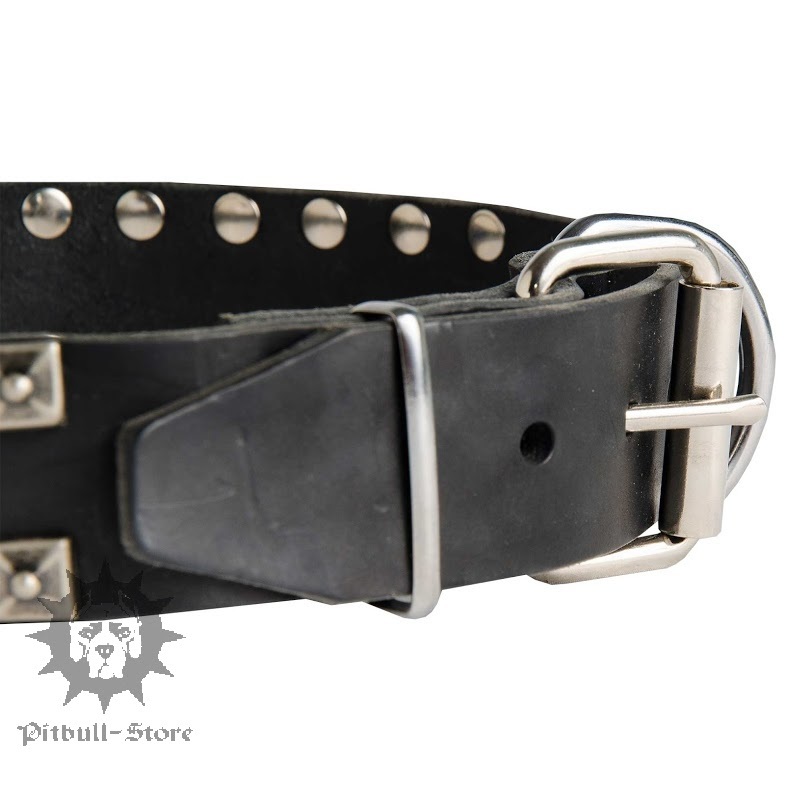 This studded dog collar is wide and durable, so it will serve your strong pet for a long time. You can also use this studded dog collar for dog shows in order to single out the individuality of a dog participant. 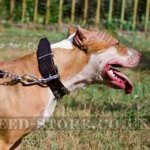 Pitbull and Staffordshire owners highly appreciate the winning style role and will be satisfied with the quality, materials and design of this walking dog collar. This studded dog collar of "caterpillar" design is available in whithe leather. 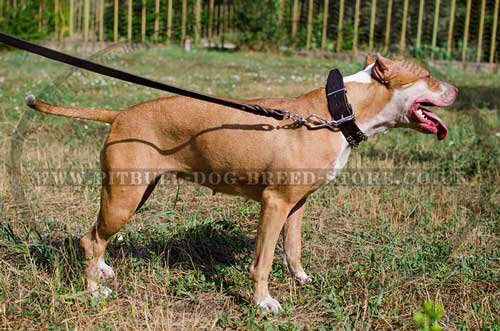 Moreover, you can choose pink leather collar to underline your Staffy-princess's beauty. 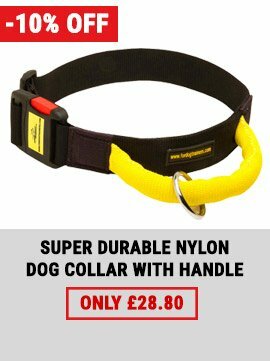 We are proud of quality and safety of our designer dog collars. 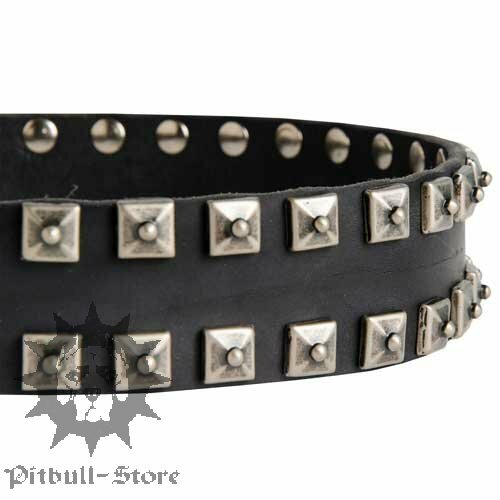 We guarantee that no harmful or toxic substances were used in producing this studded dog collar. 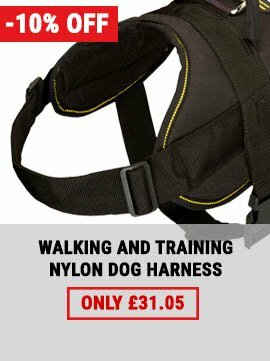 Your Pitbull or Staffy will fell comfort and your care with our walking dog collar on. 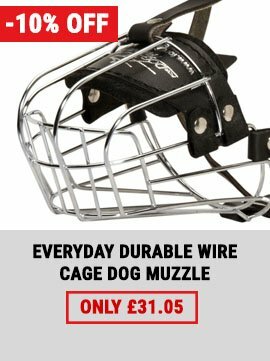 This irreplaceable Collar will not rub your Staffy's skin or cut into it. Moreover, this studded dog Collar is wide enough to not damage your Pitbull's neck if it is a hard-puller. Make the service time of this leather studded dog collar with our leather care balsam. See also our article about leather dog collar as an important dog accessory. Hello, the parcel came, the collar looks super and fits ideally.